This post lists the 20 publicly traded companies with the largest market capitalization as of today. Since my February 2016 list of the 20 most valuable stocks many of the market caps have increased significantly. Apple gained an amazing $284 billion in market cap since my February 2016 post. Only 12 companies (including Apple) are worth more than $284 billion. Amazon soared $204 billion (a 78% increase). Alphabet (Google) gained $156 billion in market cap. Samsung soared $163 billion (a 107% gain) and Tencent soared $144 billion (a 85% gain) to move from outside the top 20 to become the 9th and 10th most valuable companies and the most valuable based outside the USA. Facebook gained $126 billion and Microsoft gained $117 billion. GE lost $60 billion to drop out of the top ten. Wells Fargo also dropped out of the top 10. Market capitalization shown are of the close of business May 12th, as shown on Google Finance. In the 20 most valuable companies list there are 13 USA companies, 4 Chinese companies, 2 Swiss companies and 1 Korean company. Alibaba (China) soared $131 billion (78%) and climbed to the 11th spot (from outside the top 20 last time). Bank of America soared $105 billion (up 79%). Verizon was one of 2 companies in the top 20 to lose value in the period, Verizon declined $23 billion (over 10%) and dropped out of the top 20. The total value of the top 20 gained $1.3 trillion since my February, 2016 post: growing from $5.9 trillion to $7.2 trillion. Remember, the companies making up the top 20 has changed. Peer to peer lending has grown dramatically the last few years in the USA. The largest platforms are Lending Club (you get a $25 bonus if you sign up with this link – I don’t think I get anything?) and Prosper. I finally tried out Lending Club starting about 6 months ago. The idea is very simple, you buy fractional portions of personal loans. The loans are largely to consolidate debts and also for things such as a home improvement, major purchase, health care, etc.). With each loan you may lend as little as $25. Lending Club (and Prosper) deal with all the underwriting, collecting payments etc.. Lending Club takes 1% of payments as a fee charged to the lenders (they also take fees from the borrowers). Borrowers can make prepayments without penalty. Lending Club waives the 1% fee on prepayments made in the first year. This may seem a minor point, and it is really, but a bit less minor than I would have guessed. I have had 2% of loans prepaid with only an average of 3 months holding time so far – much higher than I would have guessed. On each loan you receive the payments (less a 1% fee to Lending Club) as they are made each month. Those payments include principle and interest. This chart shows the historical performance by grade for all issued loans that were issued 18 months or more before the last day of the most recently completed quarter. Adjusted Net Annualized Return (“Adjusted NAR”) is a cumulative, annualized measure of the return on all of the money invested in loans over the life of those loans, with an adjustment for estimated future losses. 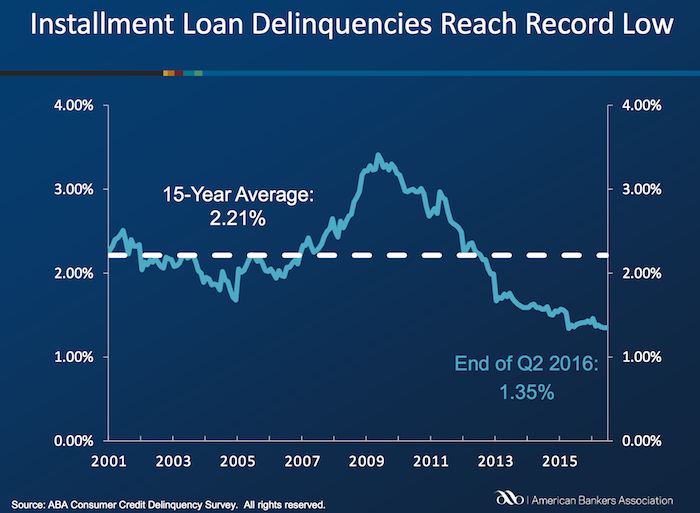 From LendingClub web site Nov 2015, see their site for updated data. Lending Club provides you a calculated interest rate based on your actual portfolio. This is nice but it is a bit overstated in that they calculate the rate based only on invested funds. So funds that are not allocated to a loan (while they earn no interest) are not factored in to your return (though they actually reduce your return). And even once funds are allocated the actual loan can take quite some time to be issued. Some are issued within a day but also I have had many take weeks to issue (and some will fail to issue after weeks of sitting idle). I wouldn’t be surprised if Lending Club doesn’t start considering funds invested until the loan is issued (which again would inflate your reported return compared to a real return), but I am not sure how Lending Club factors it in. My comments on a post by Kiva about their decision to end the Kiva Zip (direct to people loans – no intermediary financial institution) program in Kenya. Thanks for your efforts and the explanation. I am very happy Kiva is trying new ideas (like Kiva Zip). I also think it is important to evaluate those efforts and when they don’t work as well as desired attempt to improve but if things still lag pull the plug. I was happy to have made several Kiva Zip loans to Kenya (and elsewhere). I do think it is very important to retain an infrastructure for those people you got to try the new effort with, as I believe Kiva will. This has to be part of any innovation efforts – a budget to include unwinding the effort in a way that is in keeping with Kiva’s mission to help people. I strongly believe in efforts to avoid abandoning those who worked with you in general, but for those taking loans from Kiva it is much more important than normal. Keep up the good work. And keep challenging Kiva to get better and not get complacent when things are not going as well as they should. I am happy to continue to lend to Kiva but I also am concerned that the focus on making a difference and making people’s lives better can be lost in the desire to grow. 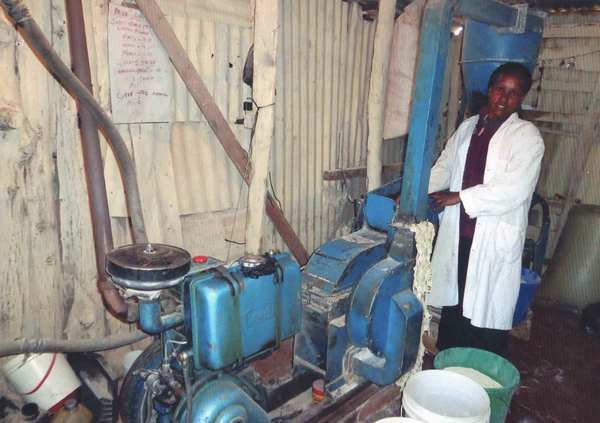 I made a loan via Kiva zip for Hilda to buy a posho mill machine. The loan was repaid in full. The Curious Cats group on Kiva has made over $27,000 in loans to entrepreneurs around the world (the way Kiva works the groups, they don’t include Kiva Zip loans). You can join us. I believe in the model of micro-finance (Investing in the Poorest of the Poor [this one is grants instead of loans]), though I also believe we need more data on real experience of borrowers. Kiva Zip gives loans directly to people with a 0% interest rate. Normal Kiva loans have financial institutions (some of which are charities but they still have expenses) make the loans and Kiva lenders provide capital (at 0%) but the borrowers have to pay interest (the idea is they pay lower interest since the financial institution has a 0% cost of capital). Business should not be allowed to store credit card numbers that can be stolen and used. The credit card providers should generate a unique credit card number for the business to store that will only work for the purchaser at that business. Laws should be adjusted to allow this consumer controlled spending and require that any subscription service must take the turning off of the payments as cancellation. For some plan where the consumer agrees up front to say 12 months of payments then special timed numbers should be created where the potentially convoluted process used now remain for the first 12 months. Also users should be able to interact with there credit reports and do things like turn on extra barriers to granting credit (things like they have to be delayed for 14 days after a text, email [to as many addresses and the consumer wants to enter] and postal notification are sent to the user. Variations on how these work is fine (for example, setting criteria for acceptance of the new credit early at the consumers option if certain conditions are met (signing into the web site and confirming information…). Better security on the cards themselves are also needed in the USA. The costs of improvement are not just the expenses credit card and retailers face but the huge burden to consumers from abuse of the insecure system in place for more than a decade. It is well past time the USA caught up with the rest of the world for on-card security. The providers have done a lousy job of reducing the enormous burden of fraud on consumers. As well as failing to deal adequately with customer hostile business practices (such as making canceling very cumbersome and continuing to debit the consumer’s credit card account). The situations have many differences, for example, China is a poor country growing rapidly, Japan was a rich country growing little (though in 1990 it showed more growth promise than today). Still this one of the more interesting pieces of data on how much a bubble China real estate has today. Japan suffered more than 2 decades of stagnation and one factor was the problems created by the real estate price bubble. The global economic consequences of the extremely risky actions taken to bail out the failed too-big-too-fail banks including the massive quantitative easing are beyond anyones ability to really understand. We hope they won’t end badly that is all it amounts to. Noone can know how risky the actions to bail out the bankers is. The fact we not only bailed them out, but showered many billions of profit onto them (even after taking billions in fines for the numerous and continuing violations of law by those bailed out bankers), leaves me very worried. It seems to me we have put enormous risk on and the main beneficiaries of the policies are the bankers that caused the mess and continue to violate laws without any consequences (other than taking a bit of the profit them make on illegal moves back sometimes). The West ignored pleas for restraint at the time, then left these countries to fend for themselves. The lesson they have drawn is to tighten policy, hoard demand, hold down their currencies and keep building up foreign reserves as a safety buffer. The net effect is to perpetuate the “global savings glut” that has starved the world of demand, and that some say is the underlying of the cause of the long slump. I hope things work out. But I fear the extremely risky behavior by the central banks and politicians could end more badly than we can even imagine. A report by the Dallas Federal Reserve Bank, Assessing the Costs and Consequences of the 2007–09 Financial Crisis and Its Aftermath, puts the costs to the average household of the great recession at $50,000 to $120,000. A confluence of factors produced the December 2007–June 2009 Great Recession—bad bank loans, improper credit ratings, lax regulatory policies and misguided government incentives that encouraged reckless borrowing and lending. The worst downturn in the United States since the 1930s was distinctive. Easy credit standards and abundant financing fueled a boom-period expansion that was followed by an epic bust with enormous negative economic spillover. Our bottom-line estimate of the cost of the crisis, assuming output eventually returns to its pre-crisis trend path, is an output loss of $6 trillion to $14 trillion. This amounts to $50,000 to $120,000 for every U.S. household, or the equivalent of 40 to 90 percent of one year’s economic output. They say “misguided government incentives” much of which are due to payments to politicians by too-big-to-fail institution to get exactly the government incentives they wanted. There is a small bit of the entire problem that is likely due to the desire to have homeownership levels above that which was realistic (beyond that driven by too-big-to-fail lobbyists). We left those organizations intact. We bailed out their executives. We allowed them to pay our politicians in order to get the politicians to allow the continued too-big-to-fail ponzie scheme to continue. The too-big-to-fail executives take the handouts from those they pay to give them the handouts and we vote in those that continue to let the too-big-to-fail executives to take millions from their companies treasuries and continue spin financial schemes that will either work out in which case they will take tens and hundreds of millions into their person bank accounts. Or they won’t in which case they will take tens of millions into their personal bank accounts while the citizens again bail out those that pay our representatives to allow this ludicrous system to continue. Is Adding More Banker and Politician Bailouts the Answer? When critics say that Europe is running out of time to deal with the financial crisis I wonder if they are not years too late. Both in Europe responding and those saying it is too late. It feels to me similar to a situation where I have maxed out 8 credit cards and have a little bit left on my 9th. You can say that failing to approve my 10th credit card will lead to immediate pain. Not just to me, but all those I owe money to. That is true. But I am not at all sure that bailing out more bankers and politicians for bad financial decisions is a great long term strategy. It has been the primary strategy in the USA and Europe since the large financial institution caused great recession started. And, actually, for long before that the let-the-grandkids-pay-for-our-high-living-today has been the predominate economic “strategy” of the last 30 years in the USA and Europe. That has not been the strategy in Japan, Korea, China, Singapore, Brazil, Malaysia… The Japanese government has adopted that strategy (with more borrowing than even the USA and European government) but for the economy overall in Japan has not been so focused on living beyond what the economy produces (there has been huge personal savings in Japan). Today the risks of excessive government borrowing in Japan and borrowing in China are potentially very serious problems. I can understand the very serious economic problems people are worried about if bankers and governments are not bailed out. I am very unclear on how those wanting more bailout now see the long term problem being fixed. Unless you have some system in place to change the long term situation I don’t see the huge benefit in delaying the huge problems by getting a few more credit cards to maintain the fiction that this is sustainable. We have seen what bankers and politicians have done with the trillions of dollars they have been given (by governments and central banks). It hardly makes me think giving them more is a wonderful strategy. I would certainly consider it, if tied to some sensible long term strategy. But if not, just slapping on a few more credit cards to let the bankers and politicians continue their actions hardly seems a great idea. The webcast is by the great Kahn Academy which produces simple educational content (like the above) on all sorts of topics. I find this too slow but I think it might be good for people that are not really sure how the banking system works. There is a group of people that are very apposed to fractional reserved banking, as a principle. I actually am fine with it, but it needs to be regulated much better than we have done. I suppose it might be true that our political leaders are much too subservient to those giving them lots of cash to regulate in a manner even close to acceptable: and therefore fractional reserve banking is dangerous. I am not sure that they are so hopeless that this is the case, though the more I see of how much they don’t know, and how often they seem to just vote based on what those giving them cash want it gets to be harder to believe they can be trusted to act close to properly (this is extremely sad). And it is mainly an indictment of ourselves: we keep putting people back in power that act mainly to reward those giving them cash and don’t seem interested in actually what is important for the long term interests of the country. I believe the FDIC actually does quite a good job of providing a solution to manage some issues with a fractional reserve banking system and people being able to rely on getting their money back. In the first place debit cards are a bad idea. They don’t have the same protection as credit cards. Banks pushed them in the USA because of the huge fees they charged (hidden from users). Now those banks are not allowed to charge the hugely excessive fees (compared to any other country) they had been charging retailers. And the banks are now trying to push huge fees onto those using the cards. Just dump any debit card you have. Secondly, you should have long ago severed any ties with the large banks (that not surprisingly are the ones announcing the huge fees, so far). They provide lousy service and extract exorbitant fees whenever they can sneak them by you. Choosing to do business with companies that you must remain hyper vigilante to abuse from is just not sensible. Small banks unfortunately get bought out by the large banks to prevent competition. So while using small banks is ok, you keep having to go to a new one as the large ones buy out your bank to prevent the competition. So it is more sensible to just pick a credit union. Credit unions are decent overall. Some can still be bad choices but it is almost impossible to do worse than any of the large banks. If you use ATMs a good deal make sure you minimize ATM fees when selecting a credit union (their policies in that area – waived fees, network ATM access… are significantly different between your options). The free checking we have grown accustom to may well be on the way out. That seems fine to me. Essentially the government’s subsidy to the large banks and financial institutions in repressing short term interest rates (at the expense of course of savers and retirees) has greatly reduced the value of checking and savings balances at banks. I am sure the large banks will be the most customer unfriendly as fees are added to accounts, based on their track record. Obviously you should not carry credit card balances, with high interest rates. There really is almost no excuse for dealing with the large banks (other than a mortgage that was sold to them without your permission where you have no option but to put up with their behavior as their customer). Many of the other extremely bad customer service industries (cable TV, internet access providers, airlines) have monopolistic powers than often make it extremely difficult to avoid dealing with them. Of course the large banks make huge anti-competitive moves that shouldn’t allowed in any capitalistic system. But then our system is more about what you can buy with your cash payments to congress than capitalism. And you can’t accept the proponents claims of capitalism as a reason to do what they ask; more often then not those playing the capitalism over government argument are asking for anti-capitalist measures (allowing anti-competitive practices etc.) in support of special interest at the expense of society (markets require regulation to have the benefits of competition provide a dividend to society).